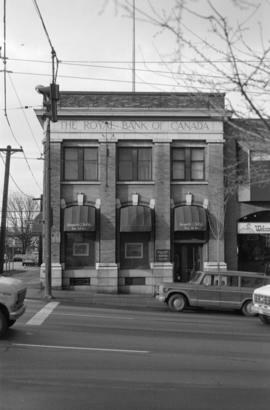 Images show Royal Bank of Canada. 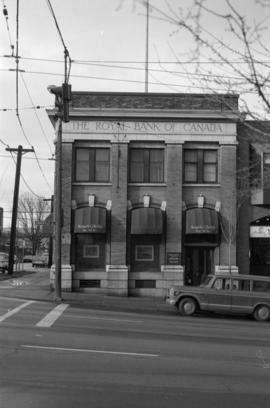 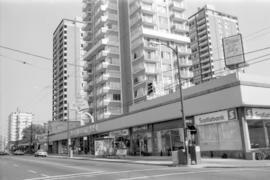 Image shows 1-storey buildings of Super-Valu and the Royal Bank. 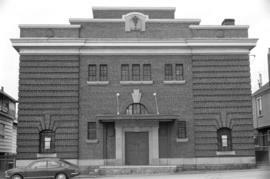 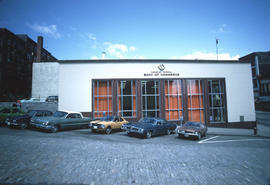 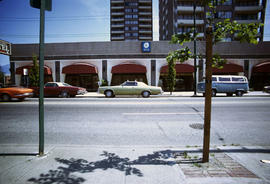 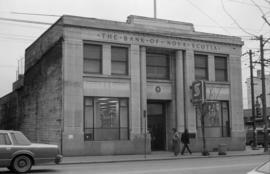 Item is a photograph showing the exterior of the Canadian Imperial Bank of Commerce vaults. 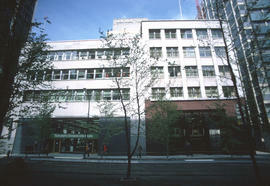 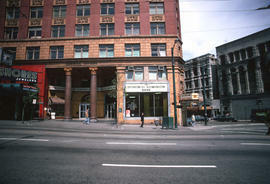 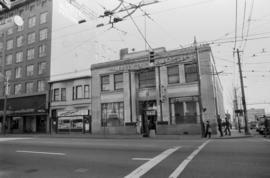 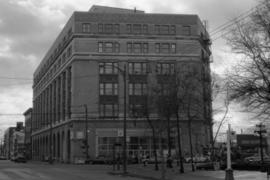 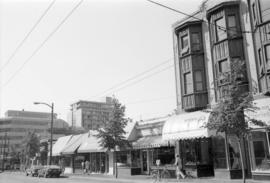 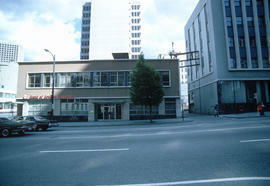 Image shows the lower portion of the Dominion Building (207 West Hastings Street). 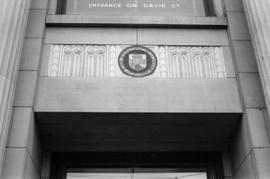 The architectural detail is clearly shown. 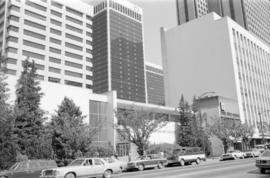 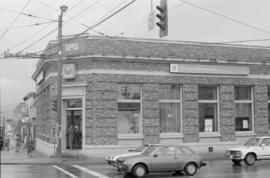 Item is a photograph showing the Canadian Imperial Bank of Commerce. 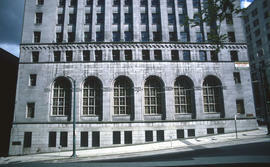 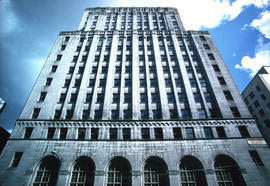 Image shows west side of lower portion of the Royal Bank Building. 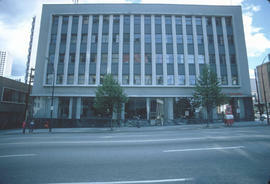 Image shows west side of upper portion of the Royal Bank Building. 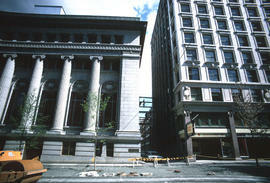 Images show the Bank of Montreal, the Canadian Imperial Bank of Commerce, and Landmark Projects Corporation. 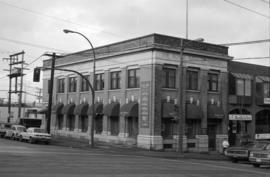 Image shows Canadian Imperial Bank of Commerce, the [Dirnal?] 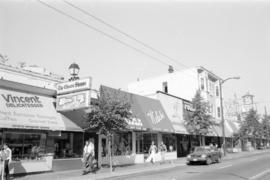 Boutique, and the Israeli Boutique storefronts. 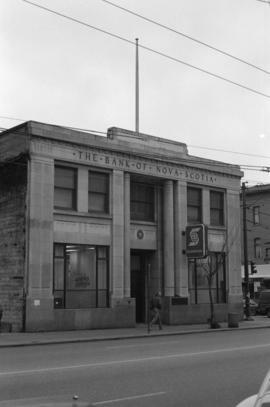 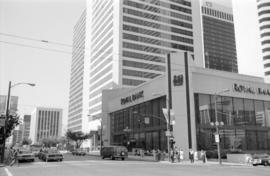 Item is a photograph showing a Bank of Montreal. 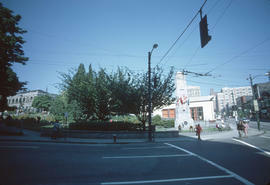 Image shows cenotaph in Victory Square and, in the background, the east side of the Canadian Imperial Bank of Commerce (84 West Hastings Street). 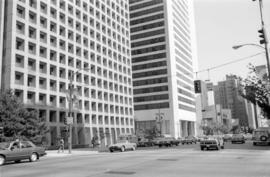 Image shows most of the west side of the Canadian Imperial Bank of Commerce Building and part of the northern section of the Rogers Building. 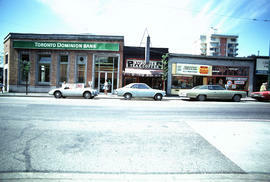 Image shows the Toronto Dominion Bank and Canada Permanent. 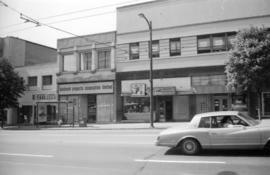 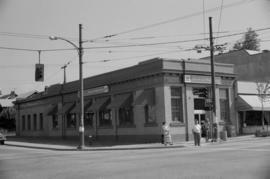 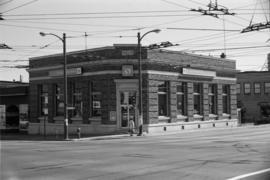 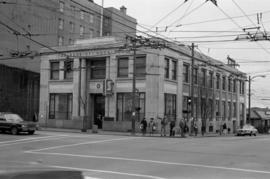 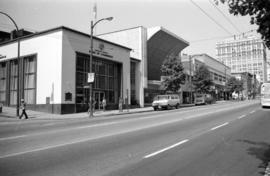 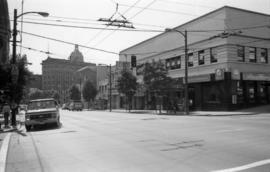 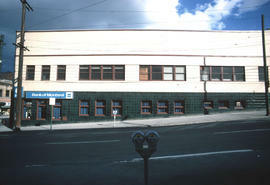 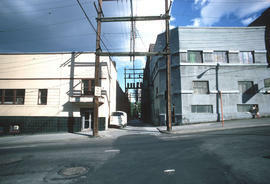 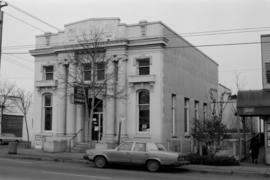 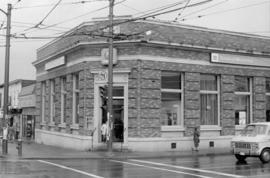 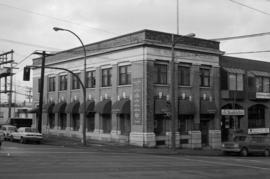 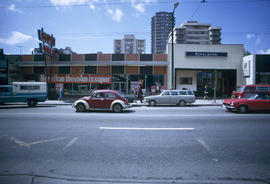 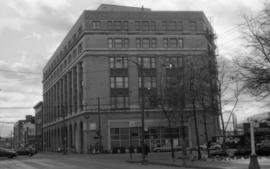 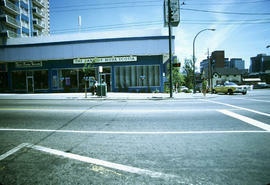 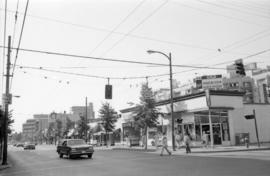 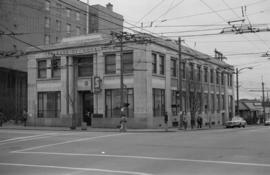 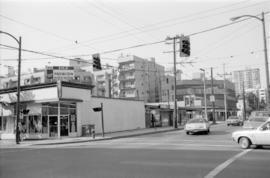 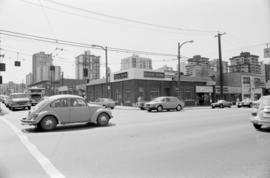 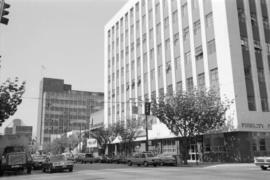 Image shows east side of the Canadian Imperial Bank of Commerce at Hamilton Street & Hastings Street. 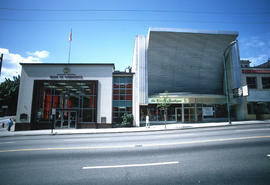 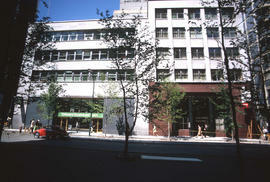 Image shows the west side of the Bank of Montreal building (396 West Hastings Street). 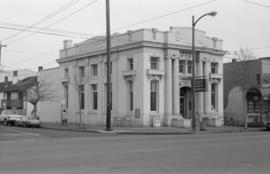 Photograph shows the Bank of Montreal.